A Better World by Marcus Sakey | Blah! 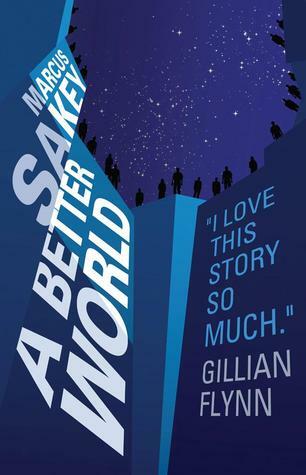 Marcus Sakey’s second book in his Brilliance saga, A Better World, picks up a few months after the first. In the world Sakey has created, about 1% of people are born with extraordinary gifts, not X-Men type gifts, but enhanced perception or the ability to read body language to an amped up level, that allow them to do things a regular person cannot do. What would happen in such a world? Would the government try to control these special individuals? Would they ultimately rise up and fight back? In Sakey’s world, they do indeed. Nick Cooper is one of these so-called brilliants, though he has worked for the government eliminating dangerous brilliants. He is doing what he thinks for God and country, but it puts him on the other side of the rest of the brilliants. In A Better World, we see the ramifications of Nick’s actions in the previous book, Brilliant. Without giving too much away, Nick is still in the center of the action, trying to save a world that doesn’t necessarily seem to want to be saved, on either side. As opposed to the previous book, this one ends in a cliff hanger. There isn’t any easy resolution and the book ends with one hell of a bang, literally. The third book will be picking up right after the end of this book, so there is a bit of a cliffhanger, but the action is so intense and the world that Sakey has created so vibrant, with odd characters all around, that it is worth the wait. Another glorious romp in a unique world. I understand that these books have been optioned for a movie, so in some form you will get acquainted with this world.